Innocent horsie or Gozer in prechosen form? 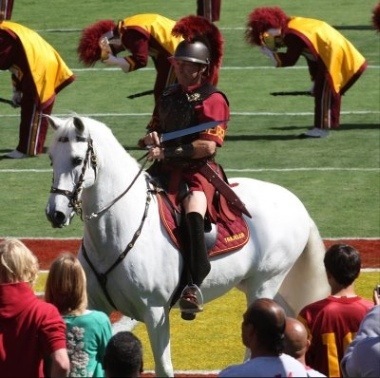 Ok, the school which currently employs me for however long has a mascot called “Tommy Trojan.” I have managed to get over all the condom references that spring into my puerile mind, but I’m struggling with the horse. This horse is called “Traveler.” See above. He’s cute, right? 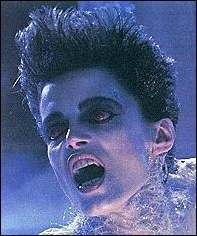 Well, whenever I hear the name “Traveler” I think of “Gozer the Traveler,” you know. From Ghostbusters. So. Is that an innocent, pleasant, barn baby of a horse? Or something MUCH MUCH MORE SINISTER? From If It’s Hip, It’s Here: Timber Meets Timbre. 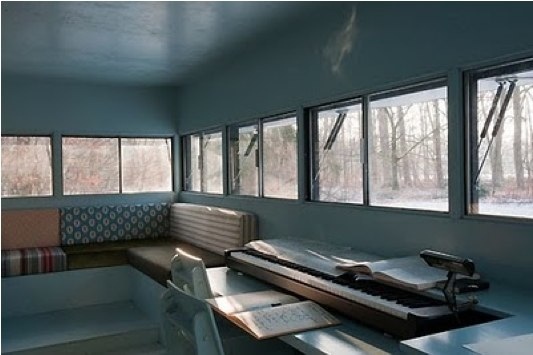 Mobile Log Cabin For Musician Hans Liberg By Piet Hein Eek…. Oh why don’t my architect friends make things like this for me?